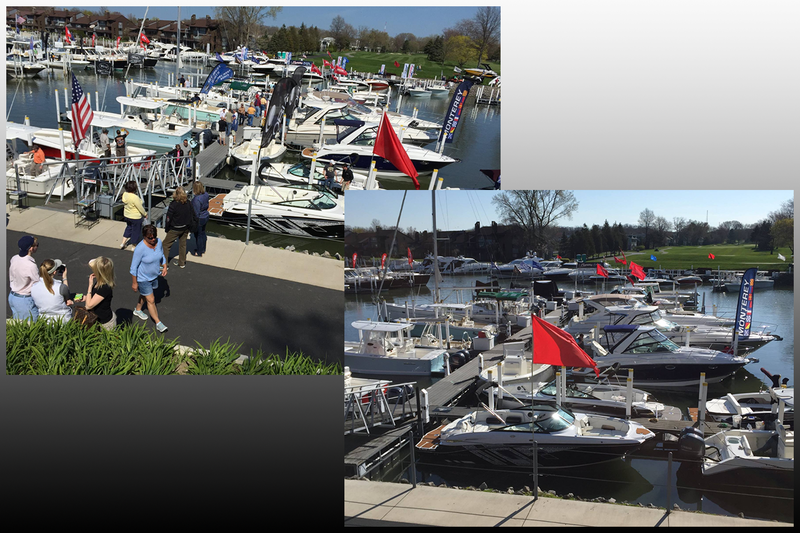 Fishing machine, sailboats, pontoons and more will be dockside for the weekend when the exclusive Catawba Island Club opens its grounds to the public for the 2018 Progressive Insurance Catawba Island Boat Show, April 27-29. 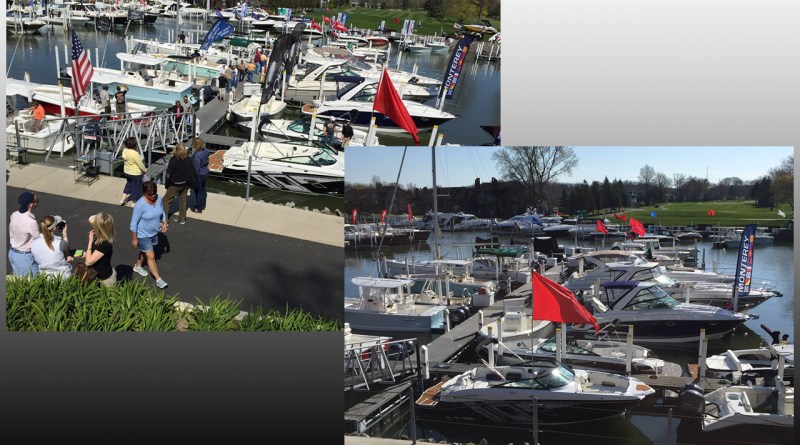 Top dealers from northern Ohio will be showcasing and demonstrating their latest models from dinghies to motor yachts. For example, Reed Yacht Sales (LsSalle, MI) will be premiering Weldcraft, a new brand to the Great Lakes market. Built of heavy gauge aluminum, Weldcraft has been an iconic brand of fishing boats in the Pacific Northwest since 1968 where anglers fish year round in all weather. Weldcraft features 29 models from 16 to 30 feet. At CIC, Reed will be displaying Weldcraft’s 280 Cuddy King, 240 Maverick and 210 Revolution, along with a Ranger Tug R-23 and the Zodian Medline 660. Brands that are well-known to anglers include Regulator, World Cat and Key West boats. They’ll all be dockside at CIC from Catawba Moorings (Port Clinton), led by the Regulator 34 Center Console with triple 300hp Yamaha outboards and the Regulator 28 CC with twin 300hp Yamahas. New to Catawba Moorings this year is the World Cat brand and the 295 Dual Console model with twin Yamaha 300’s will be displayed along with two Key West models, the 239 FS and 219FS both with Yamaha power. Castaway Yacht Sales (Port Clinton) will be docking 4 of their Tidewater Boats, ready for sea trials. These will include the 23 Tidewater LXF, 220 LXF, 220 Center Console and 210 LXF. The LXF models boast family-friendly forward seating and the 232LXF also features a large rear seat with a walk-thru transom door. Tidewater hulls feature the “Carolina Flare” for a dry ride. The fact is center consoles designs, once not popular in the northern Ohio market, are now the mainstay of fishing models being purchased by anglers. So, it’s no surprise this show will boast a big choice of makes and sizes ranging from triple engine performers to rigid hull inflatables ready to chase Walleye, Perch and Smallmouth. On the other hand, if sailing is your passion, Riverfront Yacht Sales (Cleveland) will be sailing into the CIC show with a Jeanneau Sun Odyssey 389 along with a Sun Odyssey 349. Designed by Marc Lombard, the watchwords for the 12 meter Sun Odyssey 389 are spacious and seaworthy. Her design offers speed and good seakeeping, multiple sail plans and a wide drop-down transom platform among many other amenities. A similarly luxurious interior design can be found in the Jeanneau Sun Odyssey 349. She boasts an inviting cockpit, sails comfortably and still provides good performance and easy handling. For show visitors who want to find out if sailing might be for them, the “Discover Sailing” feature offers a unique chance to get out on a sailboat and experience it first-hand. 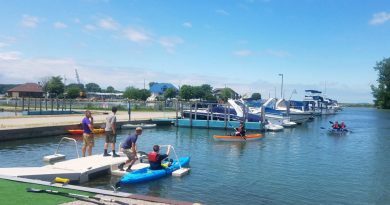 Manned by a licensed captain from Harbor North (Huron), prospective sailors will take the helm and get a taste of cruising along under sail.